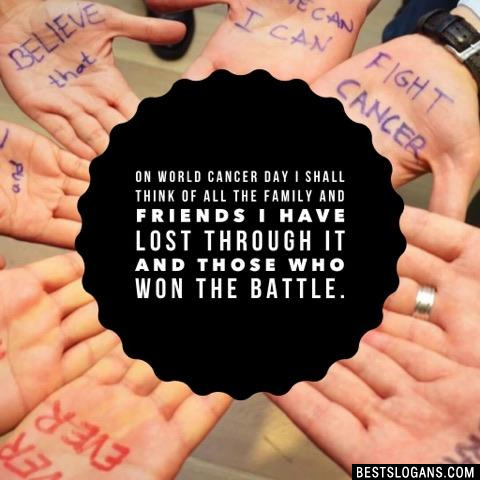 21 new entries added to world cancer day slogans, that include pictures. 1. Every battle can be fought when you have the right support. Be that for those who need it. 58% of all newly diagnosed cancers in economically developed countries that occur among those aged 65 and older. This figure is 40% in developing countries. Around 33% of cancer cases are linked to exposure to tobacco smoke, worldwide. The highest cancer rate for men and women together was found in Denmark with 338 people per 100,000 being diagnosed. 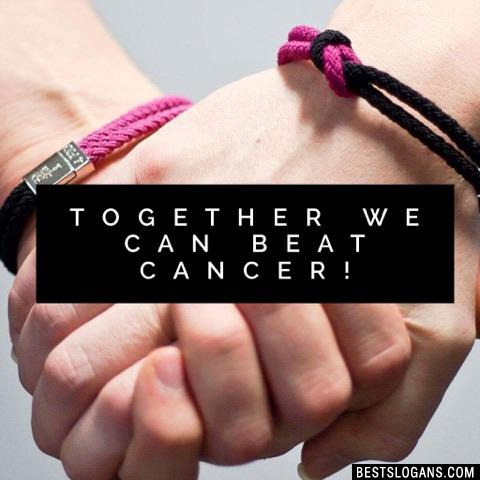 Each year 12.7 million people discover they have cancer and 7.6 million people die from the disease. Five of the fastest-moving cancers: pancreatic, brain, esophageal, liver and skin. 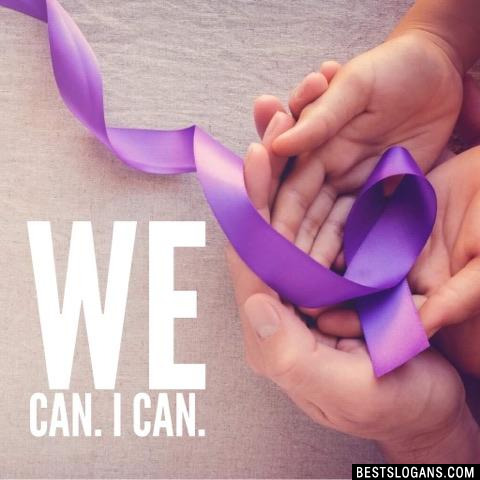 Pancreatic cancer is one of the deadliest. Of the approximately 44,000 people diagnosed each year, 38,000 will die. 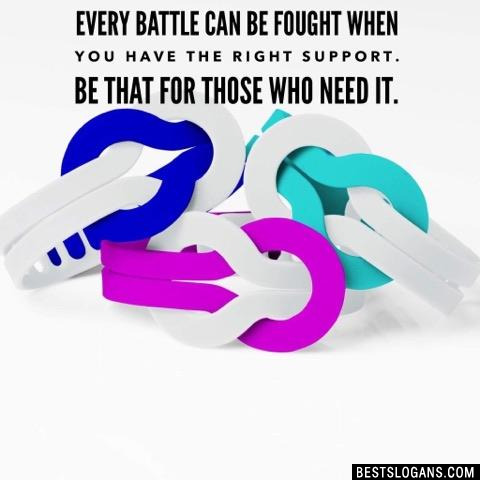 Every battle can be fought when you have the right support. Be that for those who need it. 2 Let's all pray for those still in the fight, and their loved ones caring for them, the families of those that have lost their loved ones. 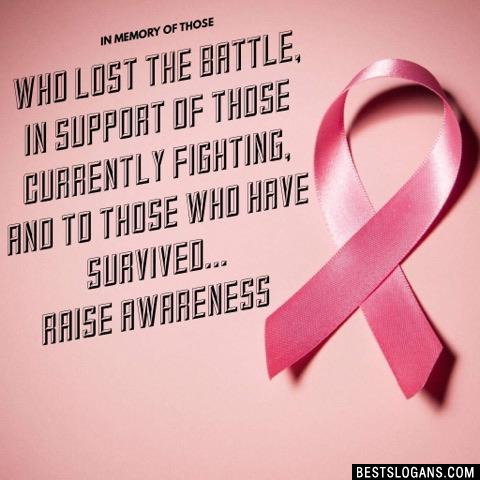 3 To those who are fighting, those who have survived and those we have lost, may we find a cure. On world cancer day I shall think of all the family and friends I have lost through it and those who won the battle. 5 On World Cancer Day let spread a message to prevent disease just by taking a healthy lifestyle. 6 Celebrate World Cancer Day by telling your family and friends to get screened for Cancer. Early detection saves lives. 8 Honoring all who have passed on and fought a difficult battle with courage, caregivers and all the survivors. 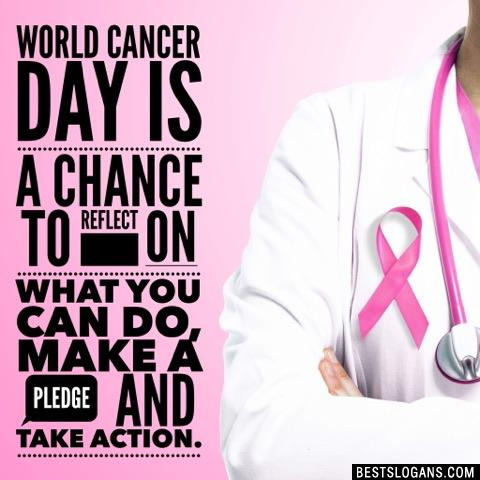 World Cancer Day is a chance to reflect on what you can do, make a pledge and take action. 10 Cancer is not a death sentence. I believe God has the last word. 11 To those battling with cancer and the ones who have won the battle. You are our true inspiration. 13 There's no CAN'T in Cancer, it's a can. You can fight it, you can find a way through! 14 Together lets fight this! 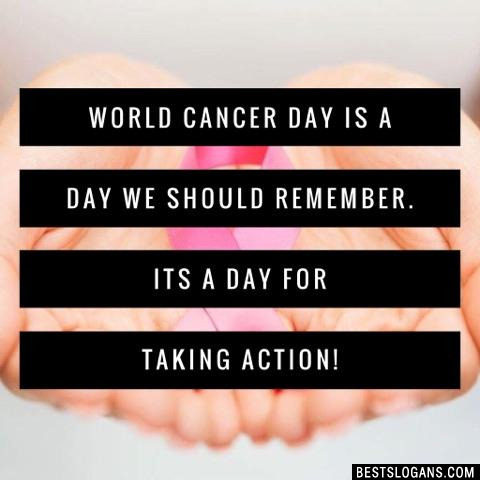 15 Sending love, thoughts, hope & healing wishes..
World Cancer Day is a day we should remember. Its a day for taking action! 17 Supporting the fighters, admiring the survivors, honoring the taken and never, ever giving up hope. 18 There is always a hope. 20 One day there will be a cure. 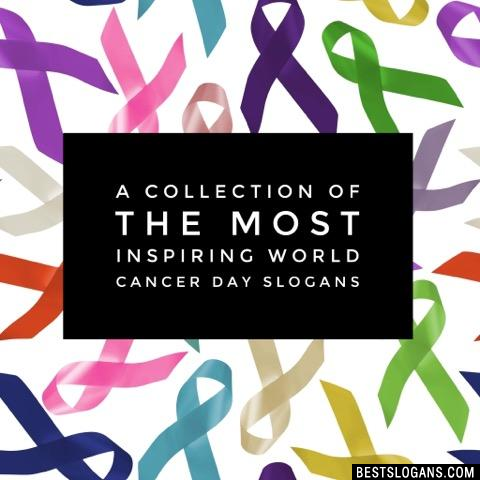 Can you think of a good World Cancer Day Slogans we're missing? Or come up with a clever one of your own. Please share below.